Happy Saturday Makeupettes! It’s me, Jacki, with another fun post for you! The beauty scenario tag with Denise from makeuporbreak-up was so much fun that she and I decided to do another collaboration. After lots of brainstorming, Denise and I came up with the idea of doing a post about products we regret buying – but with a twist. In addition to those products that we regret buying, we will also include products that we recommend buying in place of them. Now, don’t forget to head on over to Denise’s page to see her break-ups and loves. When the Maybelline Baby Skin Pore Eraser was finally available in the US, I went on a crazy binge trying to locate it. Thanks to a couple of the ladies in the beauty swap group I am in, I was finally able to obtain it. What I do regret is spending so much time and energy on locating this product. Now, I am not saying it doesn’t work, because for some I am sure it does, but as for me- I did not like it after using it for a few weeks. The look and feel are comparable to the Smashbox photo finish primer or Benefit’s Porefessional- but works no where near as good. 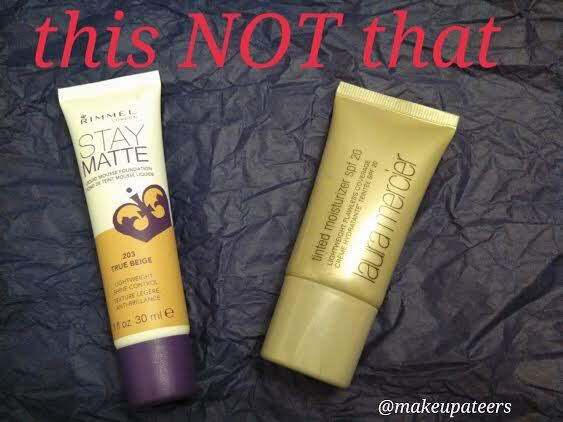 A drugstore primer I do recommend is the Rimmel Stay Matte Primer. 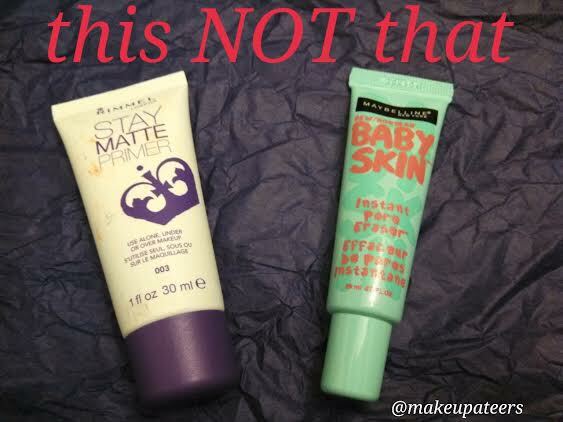 I have oily/dry combination skin, rimmel stay matte helps me stay matte all day, without ever having to touch up. The smell was horrible. It has a very chemically smell to it. Rimmel is on a roll with some amazing new products, because the product I recommend in place of the Laura Mercier is the Rimmel Stay Matte Mousse foundation. One word- AMAZING!!! It isn’t light weight as it claims, but not overly heavy. 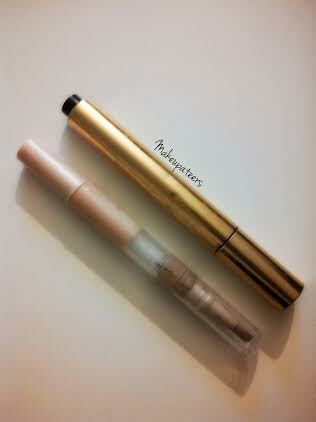 I would say this product is medium to full coverage, while still looking very natural. Again with Rimmel! What can I say? Rimmel makes amazing products. One being the Rimmel Match Perfection Blush. There are four shades available, that help give natural flush to the cheeks and with a price tag or $3-4 dollars depending on where you buy it, there is really no reason NOT to try it. 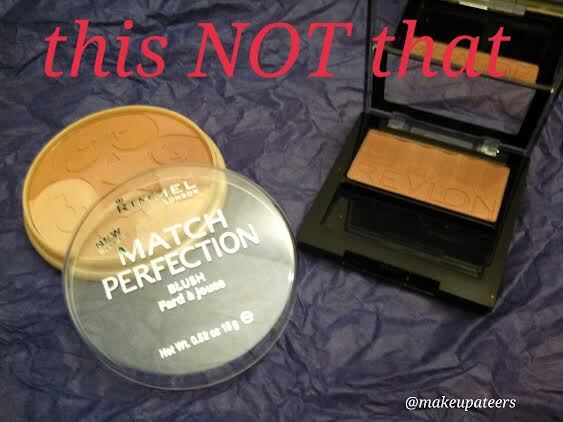 A drugstore blush to stay away from- Revlon’s powder blush. The Revlon powder blushes are flaky, chalky, and lacks pigmentation. If I am going to pay almost ten dollars for a blush from the drugstore, it should be great, in my opinion. 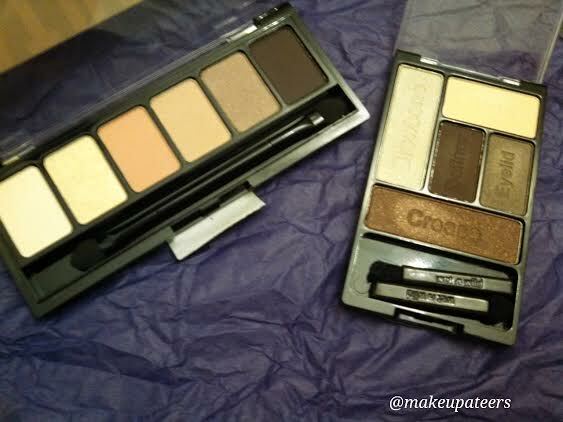 Here is a weird twist, I have two eye shadow palettes that are major fails- Nyx neutral eye palette and Wet n Wilds “The Naked Truth.” I found both these palettes very disappointing considering how much I love NYX and Wet-n-Wild. Maybe these palettes were just bad batches, but to me these shadows do not live up to the quality that we know and love from these companies. Yes, these products are very affordable, but please don’t even waste your money. 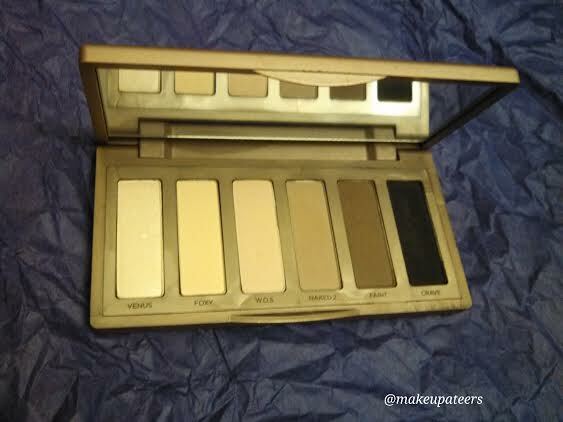 If you want a good quality, everyday, neutral palette- spend the money and buy Urban Decays: Naked Basics palette. You won’t be sorry! We all have products that we love and some we wish that we never purchased. Trial and error to find what works and what doesn’t! What are your Buy this NOT that products? We would love to hear what they are!